For the second day in a row, the card is the Eight of Cups. 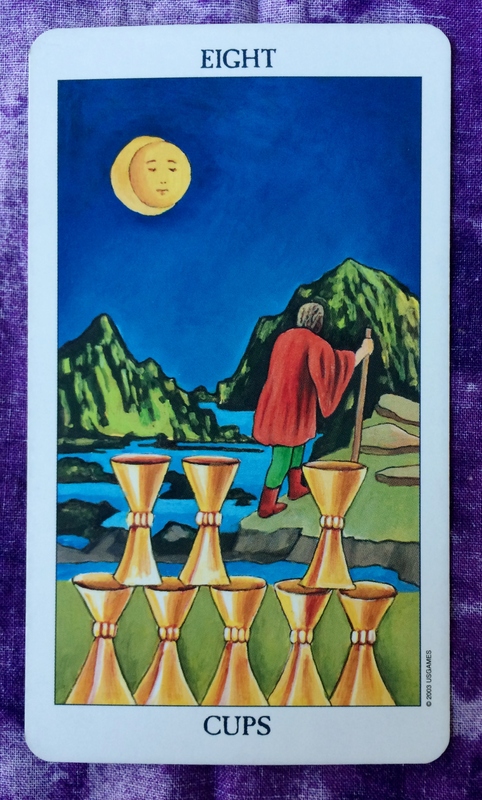 As I mentioned yesterday, this card indicates that it is time to walk away from any situation that does not serve your highest good. Sometimes the hardest part is not walking away, but the guilt about those who are left behind. At first, everyone involved may feel the pain of your decision to change. Although it may be hard to believe or accept, if the decision is for your highest good, all parties will grow from it in the end. Really.